Mit entspannter Aufmerksamkeit durch den Tag. This book is addressed to readers who want to know how to make their everyday life into a spiritual path. 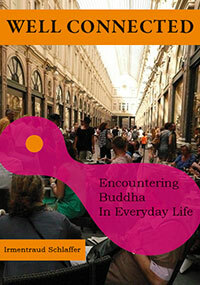 It introduces profound Buddhist ideas and principles, through the most ordinary and mundane activities. This English version was produced by Irmentraud Schlaffer and David Hutchens. Don't worry if you don't own a Kindle. Amazon offers free software to convert the book, so you can conveniently read it on a laptop, tablet or smartphone.